Alvin and the Chipmunks: Live on Stage!, a brand new, music-filled interactive live show, will take the stage at Revention Music Center. 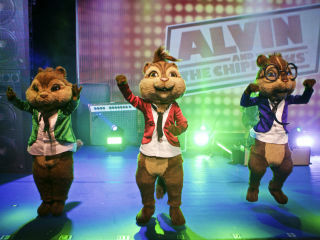 The world’s most famous chipmunk trio – accompanied by the Chipettes – will delight fans of all ages with live performances that will feature world-class production, music, special effects, and immersive interactivity to encourage audience participation. The show will bring the music and excitement of a live rock concert to life as the Chipmunks perform hits by One Direction, Maroon 5, Carly Rae Jespen, Elvis Presley and more.